Shhhh! Can you hear that soft, yet intense, fluttering? 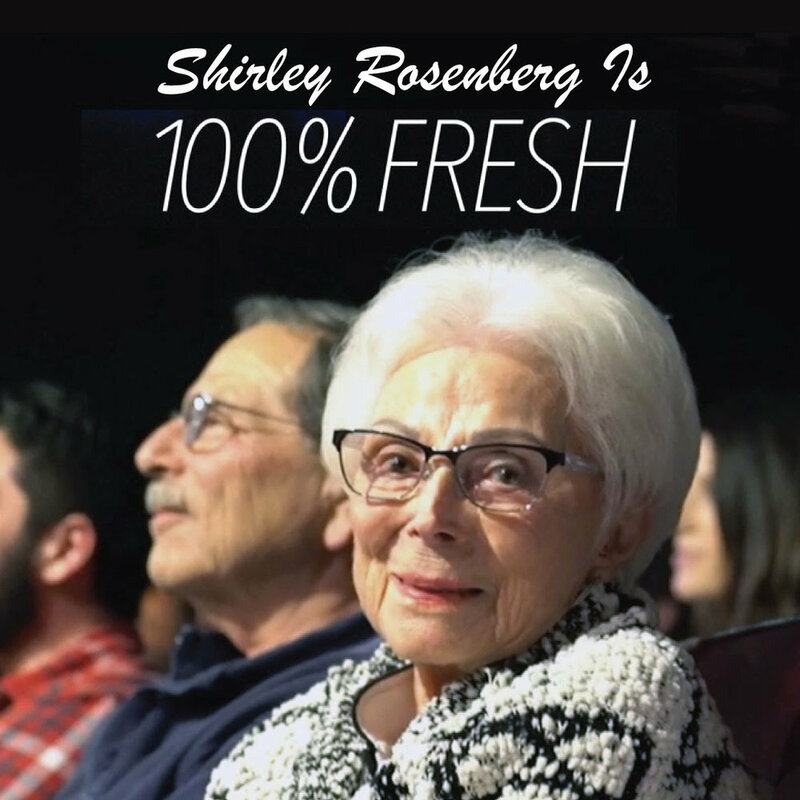 No, it’s not a swarm of moths approaching, it’s the muted applause made by the slow and tender hands of scores of nonagenarians as a closeup lands on their stunning peer, Shirley Rosenberg.Yes, THAT Shirley Rosenberg. Fountain View Retirement Community’s darling finally got her big break! Titled “ADAM SANDLER: 100 % Fresh” Shirley created an amazing vehicle for herself, yet was generous enough to give nearly all the screen time to her comedic foil, one Mister Adam Sandler. The special (which premieres today on Netflix) was shot at venues all over the country, including five night’s worth of footage from Adam’s shows at Dynasty Typewriter. Way to go Shirley! Also worth noting, Shirley is Jamie Flam’s grandmother. Also ALSO worth noting, DO check out Adam’s amazing special, 30% of which (estimate!) was shot at the theater. Adam’s shows and the related production were one of the first huge things that happened here, and we’ll never forget the excitement of the crews, the sold out and blissed out crowds, witnessing the transformations his team created for our stage, and Adam's truly inspiring hilarity, kindness, and work ethic.